The basic idea behind a trifle is simple. All you need to do is choose a few ingredients and form them into layers! Most trifles that fit in a standard-sized trifle bowl end up in three layers. Instead of using cake or brownies, try using cheesecake instead! Line the bottom of a trifle dish with a layer of 1-inch cubes of cheesecake. Top with chopped fruit, like strawberries, and then a layer of whipped topping. Repeat with another layer of cheesecake, then more fruit, and a layer of whipped topping. Garnish the top with a few slices of fresh strawberries. Another fun use for leftover cheesecake is to make sundaes! Cut a piece of cheesecake in half and fit into the bottom of a dessert dish. Top with ice cream, whipped topping, sauce, candy sprinkles, and anything else that you enjoy making sundaes with! You can even make a cheesecake banana split. Just place a slice of cheesecake at the bottom of your banana split dish and then make the banana split as you normally would. If you don’t want to eat anymore of the cheesecake, consider turning them into frozen treats! All you need to do is form the cooked cheesecake into 1-inch balls, making sure to leave the crust behind. Stick a lollipop stick in the center of each ball and freeze them until they’re frozen all the way through. Melt about one or two cups of semisweet chocolate chips in the microwave (keep checking it to make sure the chocolate doesn’t burn) and then dip each ball into the chocolate. Place them on sheets of waxed or parchment paper for about 1 hour to let them set. Transfer them back to the freezer for at least 1 hour before serving. 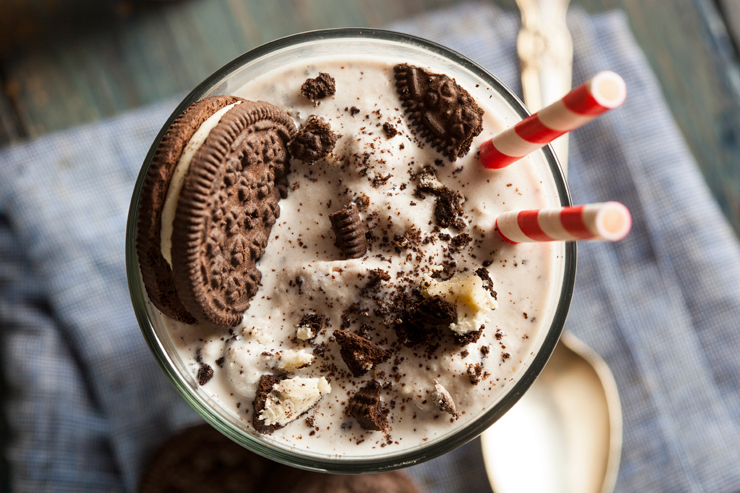 Did you know that cheesecake makes a great addition to any milkshake? Add ½ cup of cheesecake (without the crust), 1 generous scoop of ice cream of choice, and ½ cup of milk to a blender. Pulse the milkshake well until all the ingredients are combined. If it is too thick for your tastes, add a little more milk. If it is a little bit too thin, add a little more ice cream. Continue to pulse until the milkshake is smooth. Pour the shake into a glass and top with whipped cream and a fresh strawberry or cherry. Try these recipe ideas the next time you have some leftover cheesecake to use!